These CD’s are a result of a collaborative Mother-Son effort. 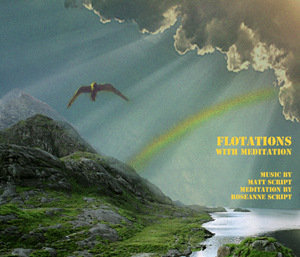 Roseanne’s skills leading the meditation and Matt’s talent as guitarist will take you on a relaxing, inward journey to help you feel balanced and centered. You will be led through each energy center of your energy field with colors, images and attributes related to those centers through Roseanne’s guidance and Matt’s music. It makes meditation easy…REALLY! 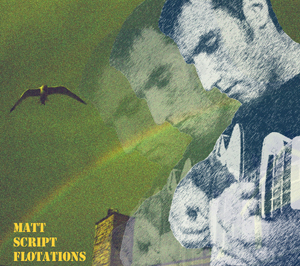 Flotations is an instrumental guitar arrangement composed entirely in a live setting; each song in one take. The intention is to be used as relaxing background music to enhance your place of work or home whether it is an office, medical facility, shopping center, or school. Enjoy the music in your car, at home, or anywhere you would like to relax…the melodies will guide you to a calm, peaceful place. This CD is a result of a collaborative Mother-Son effort. Roseanne’s skills leading the meditation and Matt’s talent as guitarist will take you on a relaxing, inward journey to help you feel balanced and centered. You will be led through each energy center of your energy field with colors, images and attributes related to those centers through Roseanne’s guidance and Matt’s music. It makes meditation easy…REALLY!